Are you ready for Christmas Holidays? 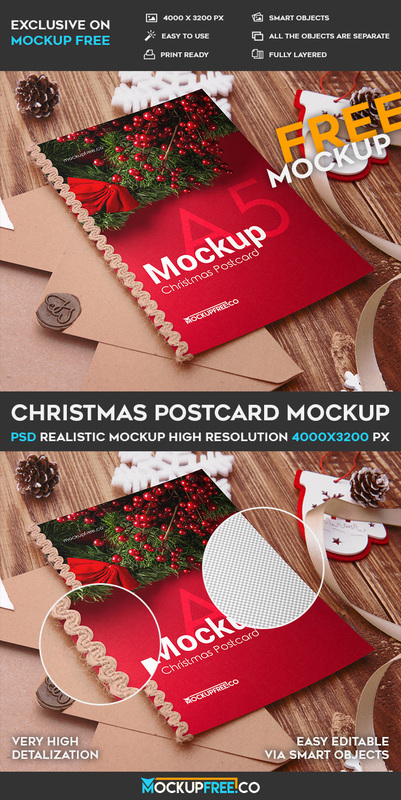 We would like to offer you this professional and very beautiful Free PSD Christmas Postcard Mockup for your business ideas and creative goals. Download absolutely Free PSD Mockups and enjoy the results!